The opinions expressed in the blogs and reports on the DRILL website, as well as the language used to express those opinions, are those of the author(s). They do not necessarily reflect the position of the Big Lottery Fund nor any of the DRILL partner organisations, the National Advisory Groups and the Central Research Committee. The partner organisations are Disability Action, Disability Rights UK, Disability Wales and Inclusion Scotland. Links on www.drilluk.org.uk will lead to other websites. DRILL is not responsible for the content of any linked site or the authenticity of any linked email address. Listing or linking should not be taken as an endorsement of any kind. 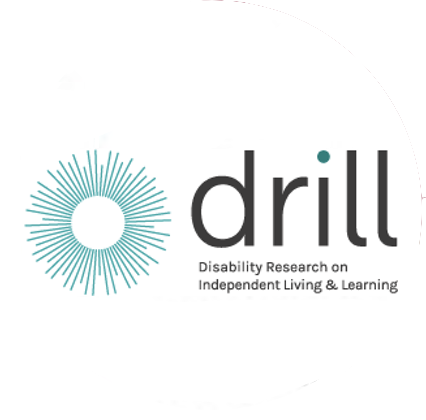 DRILL accepts no liability in respect of the content or authenticity to linked websites. DRILL cannot guarantee the availability of linked information. This statement covers the services provided by the DRILL website. This policy does not cover any external websites which may be reached from links within this site. You should always be aware when you are moving to another site and read the privacy statement of any site which collects personal information. This website does not automatically store or capture personal information, but merely logs your IP address which is automatically recognised by the web server. We do not pass any personal information you have given us to any other organisation. The system will record your email address and other information if volunteered by you to us. Any such information will be stored in compliance with the Data Protection Act 1998 and will be treated as proprietary and confidential. It may be used to respond to your query or to notify you about updates to this website.